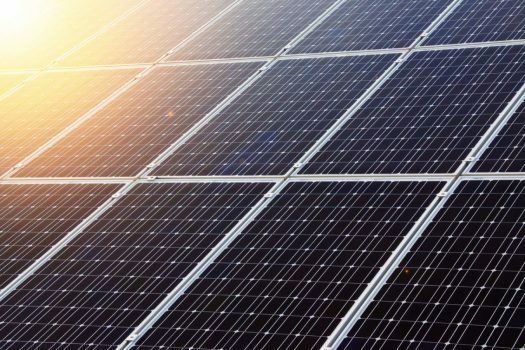 Currituck County is back in the solar business after approving new guidelines for solar farms during its January board of commissioners’ meeting. The county banned new solar farms in January 2017, to give county officials time to revise the unified development ordinance before giving the go-ahead to new solar energy facilities. Commissioners voted 4-3 in favor of the revised ordinance, ending the moratorium, but only after taking a mid-meeting break to further tweak the document. The recess came after commissioners heard from nearly a dozen Currituck farmers who objected to the restrictions the draft ordinance placed on solar farm developers. The ability to rent part of their farmland to solar companies will put much-needed cash in farmers’ pockets, which may keep them from selling their land for residential development, Etheridge and others told commissioners. In past discussions of solar farms, residents of nearby neighborhoods have been the most vocal, with complaints about dust and noise — particularly from pile driving — generated by the construction of the county’s two existing solar farms. The first draft of the new ordinance presented Tuesday night addressed those concerns, by requiring a 300-foot buffer between the facility and adjacent properties, limiting construction hours to 7 a.m until 7 p.m. Mondays through Friday, and prohibiting pile driving during school hours when the site is within 1,500 feet of a public school or preschool. Those restrictions were unfair to solar companies, speakers during the public hearing said, many pointing out that unlike subdivisions, solar farms won’t put a strain on county schools, facilities and services. At the end of the public hearing, Commission Chairman Bob White called for a recess to allow commissioners time for further discussion — presumably away from the audience and the video cameras. 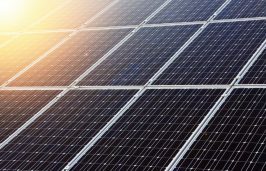 The first proposed draft limited solar energy projects to no more than two abutting properties — the new draft eliminates that restriction. 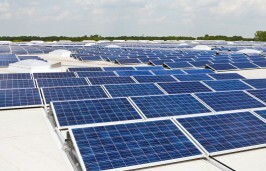 The proposed draft limited solar farms to 250 acres, or one-half of the acreage of the property, whichever is greater. The new draft eliminates size restrictions. The new draft sets height limits at 20 feet, as opposed to the previous 15 feet. Construction may take place between 7 a.m. and 7 p.m. Monday through Saturday, with no additional limits during school hours. Herbicide use to keep the weeds down will be permitted, although it was prohibited in the initial draft. Both the previous and new drafts require a 300-foot buffer between the solar facility and adjoining properties. In addition, 30 percent of the property must be maintained as a pollinator habitat or remain active farmland. The approved ordinance requires 20-foot-deep groundwater monitoring wells, tested first to set a baseline and the following year, then biannually. If no contaminates are detected, the groundwater will then be tested every five years. The developers will be required to post a deposit of 115 percent of the expected costs of taking the solar farm out of commission and removing the solar panels, returning the land to its original condition. Commissioners McCord and Owen Etheridge, who was also sworn in in December, voted in favor of the motion to approve, as did Commissioner Mike Payment and Commissioner Selena Jarvis. Jarvis was sworn in Tuesday to fill the seat previously held by Bobby Hanig. Hanig won election to the District 6 seat in the state House in the November election. Commissioners Kitty Etheridge, Paul Beaumont and Bob White voted against the motion to approve. Solar farms have been a contentious issue since the county’s approval of its first solar energy facility, near Moyock, which began generating power in 2015. Neighbors complained about the construction traffic, huge dust clouds, and the incessant noise from pile driving, which involves driving long posts, essentially telephone poles, into the region’s soft, swampy soil to support a building’s foundation. The company was cited numerous times by the county for violating the terms of the use permit. A second, smaller solar energy facility was completed on N.C. 34, across from Shawboro Elementary School, which also generated complaints. The county denied a use permit to a third proposed solar array, this one at the site of a defunct golf course in Grandy, a move that was later overturned by the North Carolina Court of Appeals. Currituck’s Board of Commissioners approved a moratorium on issuing permits for future solar farms in January of last year. Tuesday’s approval of the county’s new ordinances officially ended that ban. 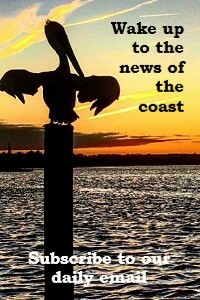 Dee Langston is a reporter with the Outer Banks Voice.